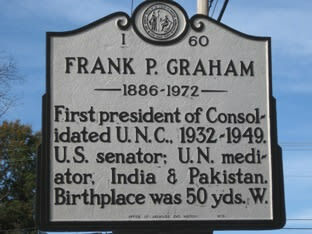 First president of Consolidated U.N.C., 1932-1949. 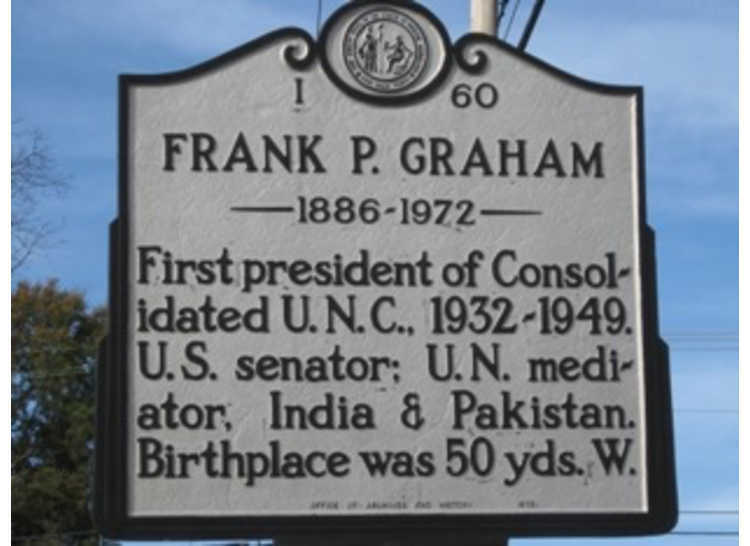 U.S. senator; U.N. mediator, India and Pakistan. 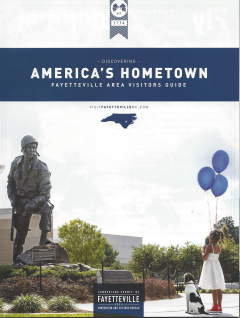 Birthplace was 50 yards West.